Bernadette Vargas Sensei has extensive background in fitness and physical rehabilitation. She is an Occupational Therapist working with children and adults with mixed abilities. Influential Aikido teachers she has received instruction under include T.K. Chiba Shihan, I. Shibata Shihan, and Jim Hauer Shihan. She received her Shidion certificate and 4th degree black belt from T.K. Chiba Shihan. 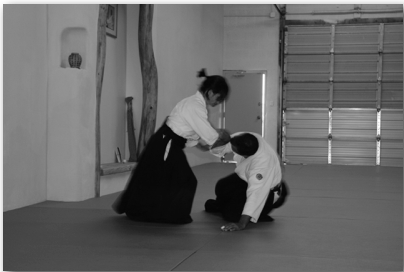 She established Aikido of Albuquerque with her husband Philip Vargas Sensei.